U.S. jobs data triggered fearful headlines on Friday. It's a cautionary tale of how misperceptions spread in an instant and cause mass confusion about money matters. 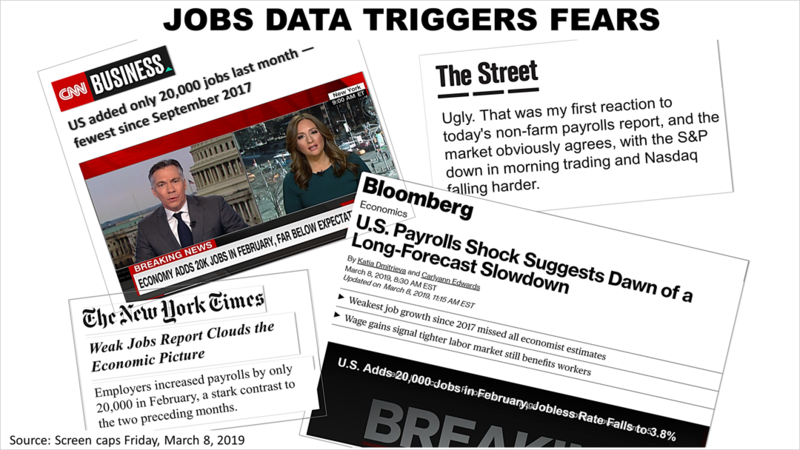 From The New York Times to specialized news outlets, like The Street, headlines were uniformly grim after the jobs data was released by the government on Friday morning. The bad report showing that just 20,000 jobs were added by the economy in February was likely an aberration. 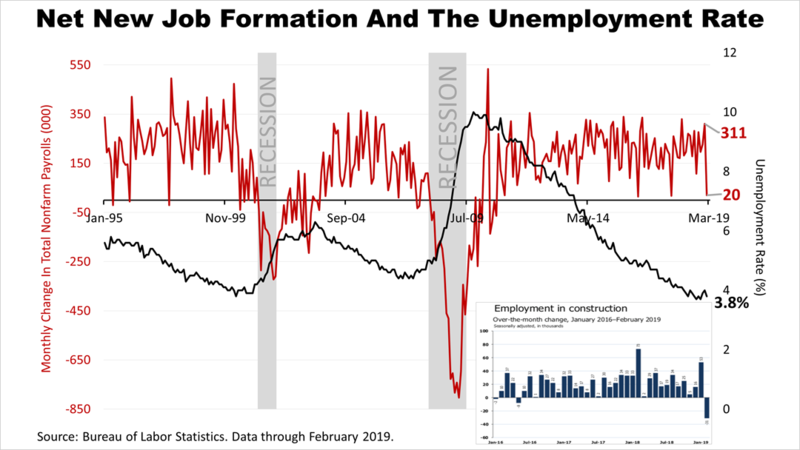 The blue bar chart in the lower-right indicates the drop in new job creation occurred largely due to a plunge in construction jobs, which was caused by bad weather across the country. Construction hiring plunged, suffering a net loss of 84,000 jobs in February. This helped trigger the bad headlines, but job losses in construction of this magnitude happen once in a while. The last net loss of jobs in construction occurred in 2016. 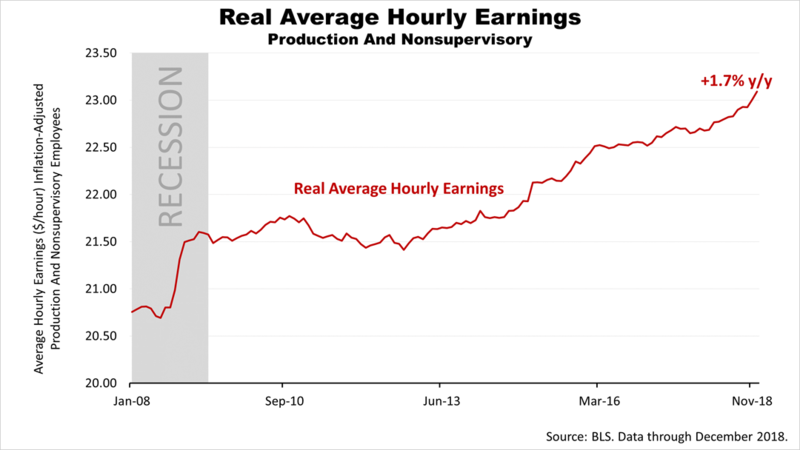 While the headlines were mostly negative on Friday, new data went unnoticed in the press showing average hourly earnings for blue-collar workers rose by 1.7% in the 12 months through December, and by 11.6% in the 10 years through the end of 2018. To be clear, in the last decade, blue-collar Americans saw an 11.6% gain in that purchasing power after inflation. When you include managers and white-collar employees, real hourly earnings of all U.S. employees was up 11.5% over the 10 year period, as blue-collar workers actually saw slightly larger wage gains over the past decade than the total population of all U.S. employees. Most important, the American consumer contributes 70% of U.S. economic growth, and real wage gains translate into increased spending and drive economic growth. The aberrant jobs report also distracted from new data showing the strong rate of growth in the productivity of U.S. workers. 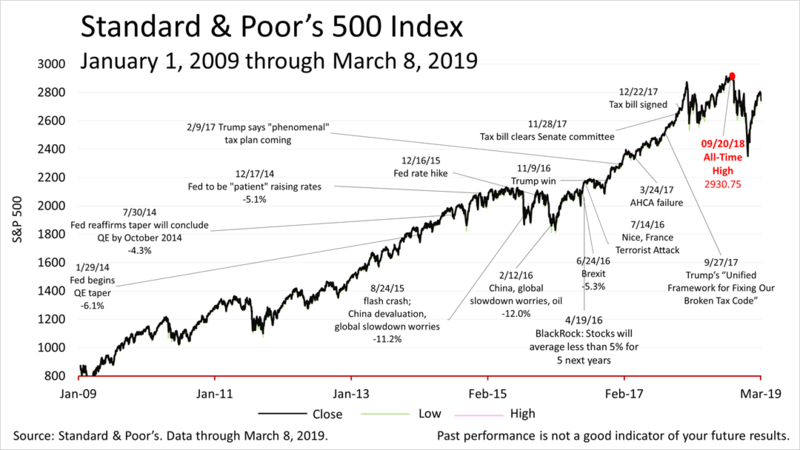 This extended an important fundamental economic trend that's been unfolding over the last three years. Productivity increased by 1.9% in the final quarter of 2018. 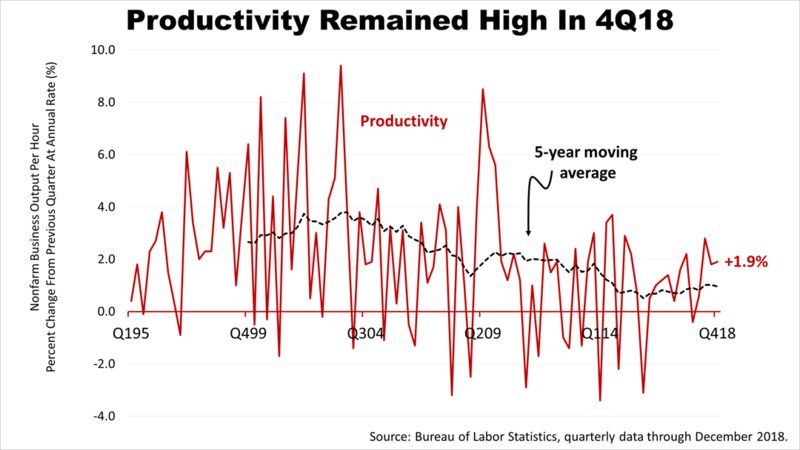 That was down from 2.8% in the third quarter of 2018 but remained at about double the 1% rate of productivity growth averaged annually in the five years through December 2018. Productivity gains directly offset the inflation. This creates a sweet spot in which employee wages rise without triggering inflation fears. The Standard & Poor's 500 stock index closed at 2,743.07 on Friday, down from last Friday's close of 2,803.69. The decline broke the string of five straight weekly gains for the benchmark of U.S. public equities. The index had been edging closer to its all-time closing high on September 20th, 2018.